As lightning flashed across the sky on the day of her wedding, Yael Ze’evi maintained composure. 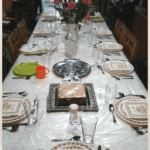 Others around her were getting anxious – what are we going to do? 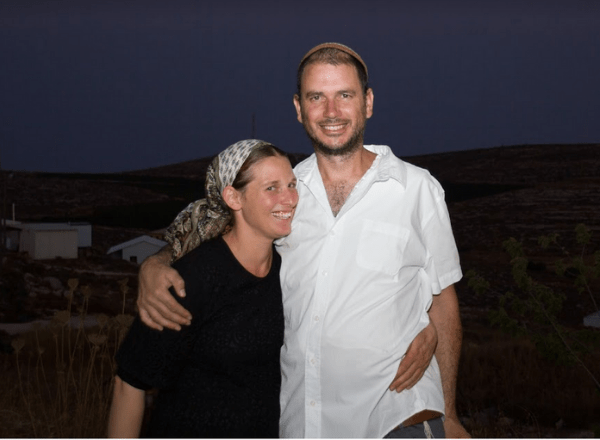 The event was meant to be outdoors on a hilltop in Samaria – no backup plan for if the weather didn’t cooperate – yet Yael was calmer than the people around her – we will find a way to make it work. She was right – they did find a way to make it work. They all went into the goat barn that stood on the peak of the Aish Kodesh Hilltop, where Yonah, her groom kept his herd of sheep. They danced all night long on the wet and muddy ground. The joyous yet stormy wedding day was followed by an unseasonably late snowstorm. 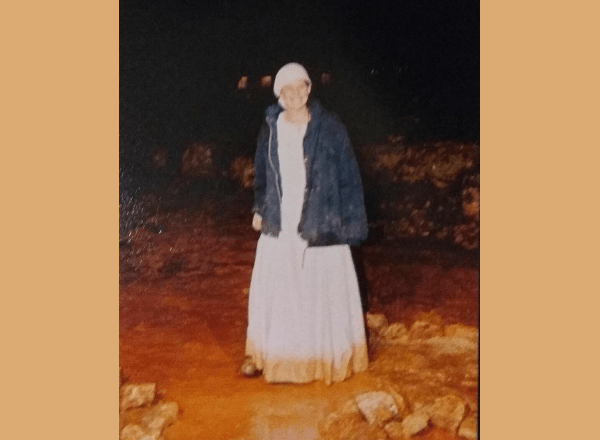 Although Yael’s white wedding gown was now ringed with dark brown mud, according to her, this was holy mud from the land of Samaria, and the abundance of rain was a gift from God. It was perfect. 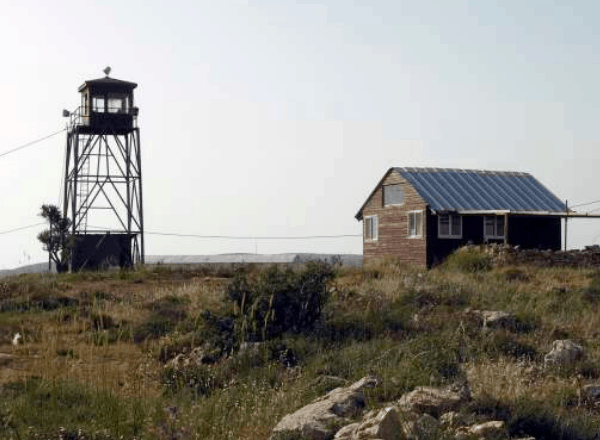 They were up all night talking in the guard tower and as the sun rose above the hilltop, Yonah put down his Uzi, got down on one knee and proposed to Yael. There was no question – they would get married where they first met and got engaged, in Aish Kodesh, and they would build their lives there. Nearly 16 years and seven children later, they are still there, though the community has grown from just one family to nearly 70. The guard tower in Aish Kodesh, where Yonah proposed to Yael. Living in settlements was not new to Yael. She grew up with her seven siblings in Kiryat Arba, a community in the Hebron Hills. 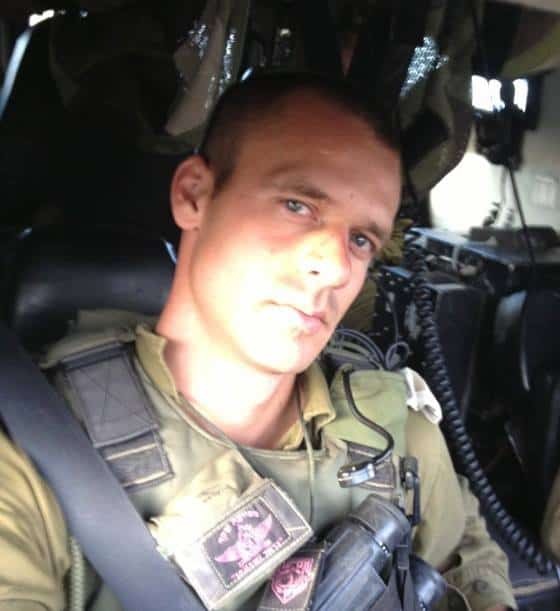 In 2014, during Operation Protective Edge, her brother Major Benaya Sarel HY’D was killed in action. He fell at age 26, just a few weeks before he was meant to marry his fiance, Gali. 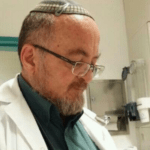 He was the Reconnaissance Company Commander for the Givati Brigade (Special Forces), and after previously being injured in action, he pushed off the surgery that was supposed to take out the shrapnel from his shoulder and he had insisted on returning to his troops. During a cease-fire, his unit discovered a terror tunnel. They were ambushed by Hamas and Benaya was killed, along with another soldier from his unit. Lieutenant Hadar Goldin was captured, pulled into the tunnel and was later declared dead. Goldin, aged 23, also left behind a fiance. Yael gave birth to her seventh child on a Thursday night. The following morning, the army sent people to Aish Kodesh looking for Yael’s home to inform her of the terrible news about her brother. A week later, Yael named her daughter Kama which is Hebrew for “getting up.” Yael recognized that God runs the world and that she cannot grieve forever – she must get stronger and strengthen the whole family, as well. 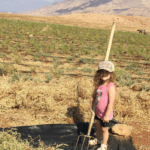 Heroes like Yael’s brother Benaya and Hadar Goldin are the reason why the Jewish people are able to continue to live in our Homeland, and why Yael and her family can live on the hills of the Biblical Heartland, in Kiryat Arba and in Aish Kodesh. 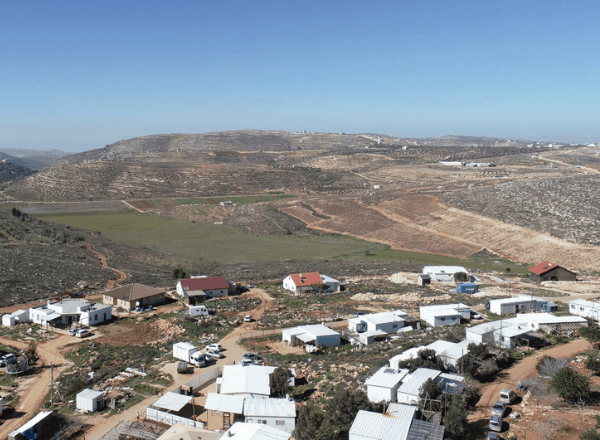 Many members of the international community condemn settlements such as Yael’s hometowns of Kiryat Arba and Aish Kodesh, but these settlements sit on the Biblical Heartland where there is evidence of Jewish settlement dating back thousands of years. Aish Kodesh is a small hilltop only five kilometers east of Ancient Shiloh where Joshua’s Tabernacle stood for 369 years and was the capital of Israel long before King David founded Jerusalem. There are some that have been pushing for a “two-state solution” which would mean to exile Jews like Yael and many more from their land to create another anti-Israel, Arab state that includes the destruction of Israel in its charter. The hilltop community of Aish Kodesh today. Yael grew up immersed in building the communities of Judea and Samaria, and therefore her current professional endeavor comes as no surprise. Construction is almost complete on a coworking space in Shaar Binyamin. They have several companies already interested in joining the coworking space, and they hope that more creative founders of Samaria will opt to base their companies there. They also plan to have seminars and practical courses to further peoples’ careers and create opportunities for people from the region who would otherwise not have access to them. They hope to employ graduates of their courses because we all know how difficult and important it is to find a positive first job experience. Yael is a true visionary who wants to bring the Biblical Heartland to the future and offer professional opportunities to its residents. 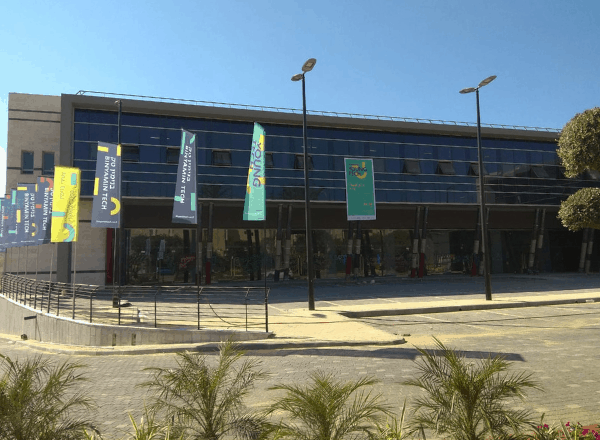 In addition to the coworking space that is already just two months away from being completed, Yael and her team are already looking for a place to build their next project: another coworking space with an eye to be the high tech center of the Binyamin region. 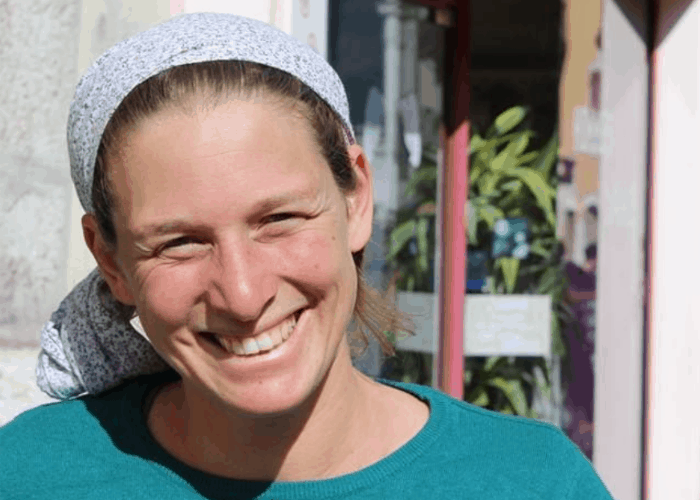 Yael welcomes people who would like to hear more about the project and check out the space that is almost completed in Shaar Binyamin. She invites high tech CEOs from all over the world to come and visit the site and learn about her revolutionary vision. 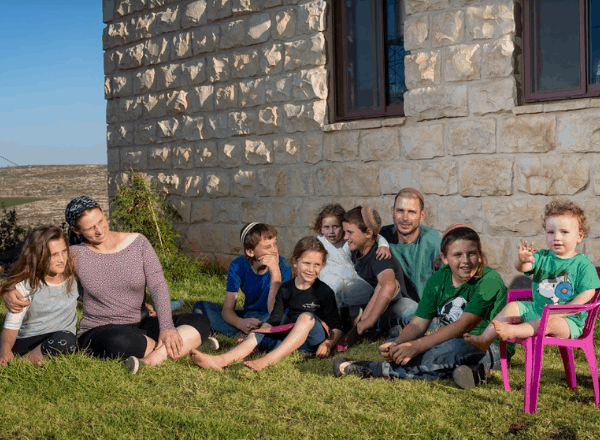 Yael, Yonah and their seven children sitting by their newly built home, on the same land where our Forefathers settled. People like Yael are bringing the Biblical Heartland into the future. A high tech center will sit on the same ground that our forefathers walked. 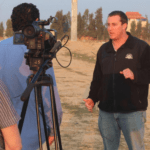 The Land of Israel is flourishing – not only agriculturally, but the Startup Nation is unparalleled, and the talent does not only exist in current high tech centers such as Tel Aviv. Inspired by the dreamers who first came to this land, Yael and her team are bringing jobs and opportunities to entrepreneurs of the Biblical Heartland, too.